Do You Need Help Putting Your Goals Into Action? ...Then you absolutely need a vision board! A vision board is a powerful and effective tool for bringing your goals and dreams to life. In this workbook, we will use journaling exercises and creative collaging to help you create a unique board using pictures, images and words to represent your dreams and goals as we prepare to rock out the rest of 2018! This workbook will help you create a vision board that will make your dreams come to life! Interactive Activities + Prompts: One tiny step at a time, we'll take you from confusion to clarity. From exploring different opportunities to creating intentional goals based in your personal values and purpose, each activity elaborates on the one before it to help you set goals that matter. Steps on How to Create Your Vision Board: Translate that BIG VISION you've created into images and quotes to create a vision board to make your dreams come to life. What to do next: Learn what needs to happen in order to turn your dreams into your reality. Are You Ready To Create A Vision Board That Actually Works? so I created this guide just for US! Sweet dreamer, I'll be honest.... my first vision board completely changed my life and I've seen this happen over and over again countless times with my coaching clients who use this same method to create a vision board and start brining it to life. Vision boards can be incredibly powerful, but it's crucial that you MUST to start with a clear understanding of what you want out of your life. So.... that's where we begin. We absolutely need to do some reflection before we jump into the action. That is where this vision board workbook comes in. 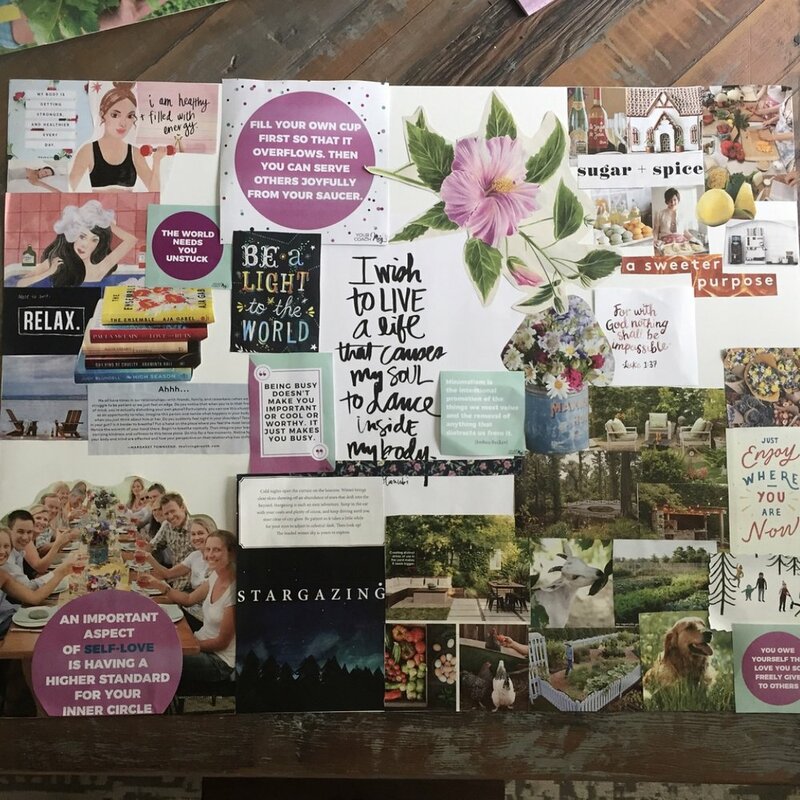 What's inside The Ultimate Vision Board Workbook? Even if you don't know where to start in creating your vision, we'll walk through four key "building blocks" that will create a strong foundation to build your miraculous vision. One tiny step at a time, we'll take you from confusion to clarity. From exploring different opportunities for you to creating intentional goals based in your personal values and purpose, each activity elaborates on the one before it to help you set goals that matter. We'll show you how to take that BIG VISION you've created and translate it into images and quotes to create a vision board that actually works to make your dreams come to life. We'll let you in on the big secret of what to do to really start walking the pathway to your dream-life now that you are so confident and sure about the direction you are headed. You've made the decision that NO MATTER WHAT you're making a huge change in your life. You can feel yourself getting COMFORTABLE and you know this isn't you! You've had this idea that's bugging you like crazy and you're wondering if NOW is the time to try it out. Right after you purchase your ebook, it'll be sent to your email address where you can download the PDF e-book. This investment isn't just for you... it will literally impact every single life that you touch.... and I think that's pretty amazing. 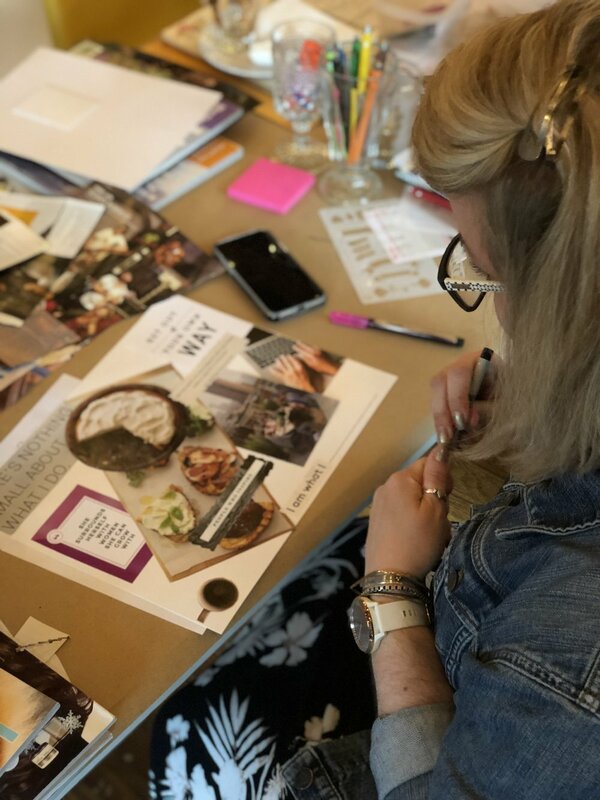 Scroll down to see some amazing vision board bombshells at work at one of my live vision board events and scroll UP to purchase your workbook!